When you're around food as much as we are, you know how to treat your taste buds right. We’ve known since college that we wanted to share our love of food with the communities we live in, and we’ve done it since we took over Temptations Café in 2001. We come from a diverse background, and we strive to incorporate those cultures into our cooking, from our authentic Lebanese labneh to our modern twist on the Cubano. However, we don’t only want to be your go-to lunch spot. We want Temptations to be your local coffee shop where you stop for a latté on your way to work or meet up with friends for coffee. We’ve partnered with locally based George Howell Coffee and MEM Tea to make that happen. Whether you're working on an important project or writing the next Great American Novel, let Temptations be the place where you espresso yourself. M-Fr 7 a.m. – 7 p.m.
Sun 9 a.m. - 7 p.m.
Raspberries, strawberries, blueberries and bananas. Fried egg, American cheese, and your choice of bacon, sausage, ham or turkey on an english muffin or a bagel. Fried egg, cheddar cheese, tomato and avocado on an english muffin or a bagel. Scrambled eggs, pepper jack cheese, bacon, black beans and salsa on a flour tortilla. Scrambled eggs, feta cheese, tomato and spinach served with a slice of 7 grain toast. Your choice of plain, wheat or multiseed bagel. Your choice of bagel with cream cheese, lox, red onion and capers. Served with pita and balsamic vinaigrette unless otherwise specified. Add seasoned Roasted Chicken to any salad for $2 extra. Mixed greens, red onion, carrots, tomato and cucumber. Our Garden Salad topped with stuffed grape leaves, olives, pepperoncini and feta cheese with Greek dressing on the side. Our Garden Salad topped with smoked honey ham, roasted turkey and Swiss cheese. Spinach, gorgonzola cheese, pear and cranberries. Seasoned chicken, romaine lettuce, parmesan cheese and croutons tossed in caesar dressing. Mixed greens, goat cheese, red onion, walnuts and green apple. Mixed greens, tomato, fresh mozzarella and basil pesto. Seasoned chicken, provolone cheese, roasted red peppers and basil pesto pressed on sourdough. Smoked honey ham, Swiss cheese, red onion, tomato and mayo pressed on sourdough. Fresh mozzarella, tomato, basil and balsamic vinaigrette pressed on ciabatta. Turkey, pepper jack cheese, pepperoncini, tomato and chipotle mayo pressed on ciabatta. Tuna salad, cheddar cheese, avocado, red onion, tomato and honey mustard pressed on 7 grain. Prosciutto, gorgonzola cheese, walnuts, fig jam and arugula pressed on ciabatta. Seasoned chicken, roasted red peppers, artichoke hearts and spinach-ricotta spread pressed on sourdough and served with a side of tomato-basil sauce. Roasted pork loin, smoked honey ham, Swiss cheese, pickles and chipotle mayo pressed on ciabatta. Roasted portobello mushrooms, brie cheese and caramelized onions pressed on sourdough. Roasted tomatoes, goat cheese, kalamata olive tapenade and arugula pressed on ciabatta. Your choice of cheese pressed on 7 grain, sourdough or ciabatta. Prosciutto, fresh mozzarella, lettuce, tomato, basil pesto and balsamic vinaigrette. Roast beef, cheddar cheese, lettuce, red onion, tomato and horseradish mayo. Fresh mozzarella, avocado, mixed greens, tomato and basil pesto. Tuna salad, lettuce, tomato, shredded carrots and red onion. Chicken salad, Swiss cheese and tomato. Avocado, shredded carrots, cucumber, lettuce, tomato, red onion, Swiss cheese and hummus. Lettuce, tomato, red onion, feta cheese, stuffed grape leaves and balsamic vinaigrette. Hummus, feta cheese, lettuce, tomato, shredded carrots, red onion and Greek dressing. Roasted turkey, Swiss cheese, lettuce, tomato, red onion and dijon-mayo. Seasoned chicken, lettuce, parmesan cheese, croutons and caesar dressing. House-made falafel, lettuce, tomato, dill pickles, red onion, pepperoncini and tahini sauce. Nutella and banana pressed on brioche and topped with powdered sugar. Peanut butter and strawberry jam pressed on brioche or 7 grain and sprinkled with powdered sugar. Peanut butter, banana and honey pressed on 7 grain and topped with powdered sugar. Mascarpone and your choice of fig or strawberry jam pressed on brioche and sprinkled with powdered sugar. We don't only want to be your favorite lunch and coffee spot. We also want to fill your group needs. If you're having an important business meeting or a friendly gathering, contact us and let us feed you! Do you have an unhealthy obsession with coffee? 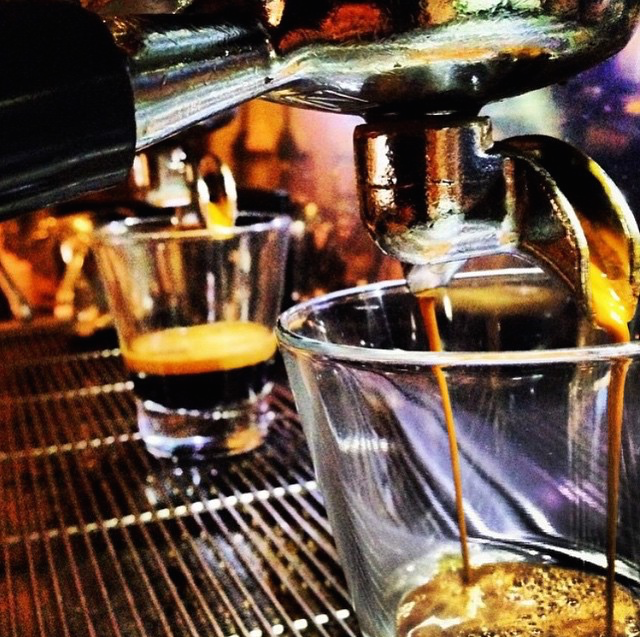 Do you run on espresso shots? Do you need coffee to function? If you answered yes to any of these questions, come work at Temptations! We’re looking for people who have a vast knowledge of coffee, want to perfect their latté art, or are great at making people feel welcome. We’re always accepting applications! Come in and fill one out or tell us all about your experience at temptationsboston@gmail.com!